Bungie's year long exclusive deal with Sony is coming to an end. Which means Xbox players will finally get a taste of the content only available on PS3 and PS4 thus far. 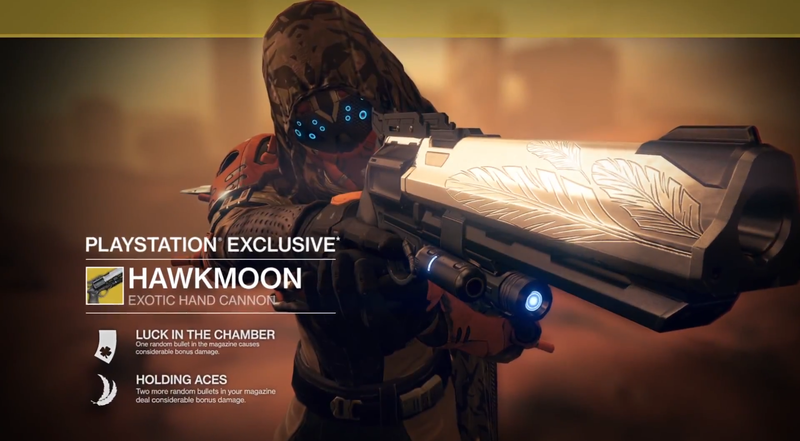 In an interview with Eurogamer, Destiny's creative director Luke Smith confirmed the PlayStation-exclusive content will bring new strikes and new exotic weapons, including the Hawkmoon hand cannon, to Xbox. 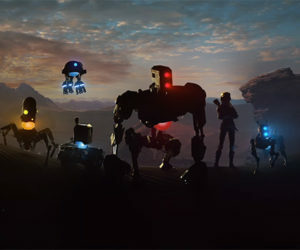 "The previously Sony-exclusive strikes will be available this autumn on Xbox," Smith said. "But we're not just re-issuing them. We're [also] refreshing them completely with the Taken." "We want you to experience The Undying Mind completely as it was with the Vex, and also in a Taken-ified version. We wanted to make it feel like more than last year's model." The new version of the content will be available for both platforms. Xbox players will have the chance to experience the old content, as well as try the new versions simultaneously. Bungie has been taking a lot of heat for focusing on new players over long standing fans with upcoming The Taken King Collectors Edition. The Taken King is confirmed to add new achievements/trophies to Destiny.